Dr. Wes Allison received his bachelor’s degree in biochemistry at the University of Oklahoma where he was inducted into Phi Kappa Phi Honor Society and graduated with special distinction. He went on to graduate at the top of his class in medical school at the University of Oklahoma and was inducted into the prestigious Alpha Omega Alpha Honor Medical Society. 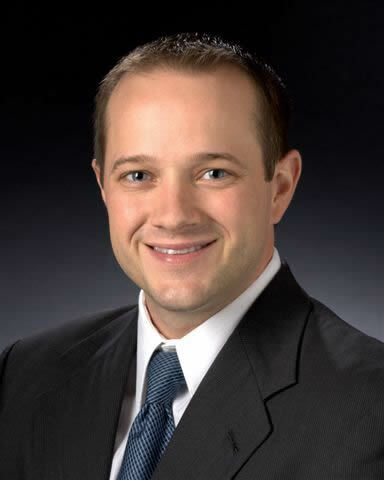 He then moved to Louisville in 2005 where he completed his General Surgery internship as well as his Otolaryngology-Head and Neck Surgery residency. During his time at the University of Louisville, he was invited each year to present his clinical research at national meetings in the fields of Pediatric ENT and Otology. Dr. Allison has been with Advanced ENT and Allergy since 2010. He is board certified in adult/pediatric otolaryngology and facial plastic surgery by the American Board of Otolaryngology – he truly enjoys and is proficient in all aspects of ear, nose, and throat surgery. His love for children and pediatric care is a large reason he chose this specialty, and as a parent he knows how stressful it can be to have a sick child. He has a special interest in the medical and surgical management of sinus disease, and he fully understands the importance of addressing allergy as an underlying component of these problems. He is one of few ENT physicians in the area who has completed both written/oral examinations to achieve fellow status in the American Academy of Otolaryngic Allergy. He is also fully certified in minimally invasive balloon sinuplasty and regularly performs these procedures in the office. Other areas of interest include the diagnosis and surgical management of salivary gland, thyroid, and parathyroid disorders. He is American College of Surgeons certified in head and neck ultrasound diagnosis and fine needle aspiration. Dr. Allison is a firm believer in taking the time to listen to each patient’s concerns and perspectives in deciding on a mutually agreeable and effective plan in that patient’s care. Though he was raised in Oklahoma and is still a diehard “Sooner”, Dr. Allison fell in love with the Louisville area and currently enjoys cheering on U of L Cardinal athletics throughout the year. His first love is his family – he and his wife Angela are proud parents of two girls, age 4 and 6 months. In his spare time he also enjoys live music, working out, traveling, and skiing. "Dr. Allison is great!! I never feel rushed at my appointment. He is a great listener!! He realizes I am on a fixed income and takes that into consideration when prescribing me medications. His nurse is really sweet and returns my calls in a timely manner. I started with this doctor 2 years ago and never left dissatisfied. Dr. Allison and his nurse make me feel like family."